See why spy cams have grown in popularity as a home security tool. Electronic alarm systems are powerful deterrents. According to the National Burglar and Fire Alarm Association, homes equipped with an alarm system are 3 times less likely to be broken into than those without. Apart from the obvious safety benefits, many insurance companies offer discounts of 5-15% on homeowners' insurance policies for homes with basic fire and security systems. While an effective level of protection is desirable, it is easy to get lured into security systems that are too complex and costs that are too high. Unnecessary gadgetry can also impose annoying restrictions on everyday life. You don't want the members of your family to feel they are living in a fortress. There is another danger with elaborate setups: sooner or later a complex security system may be neglected, making your home and property more vulnerable than with simple protection devices that are understood, used, and maintained. Remember: An alarm system must be lived with every day, for years to come. Therefore, the goal should be to have a secure home that is friendly to everyone except unwanted intruders. In general, good home security should cause very little inconvenience. The important thing is to identify and protect the vulnerable points while being less fussy over low-risk areas. So if there is more than one way of achieving a similar degree of protection, then choose the simplest. Many of the best ways to improve your home security are surprisingly inexpensive and easy to install. Some simple motion-activated lights, a few good locks, perhaps even an inexpensive burglar alarm, goes a long way in reducing your home's curb appeal to burglars. If you are looking for an alarm system or a security camera , then you know that there are dozens of retail stores and online shops offering big lists of gadgets and systems of all types. So rather than just another list of gadgets, HomeSecuritySimplified.com will give you specific recommendations for simple, yet effective, residential protection devices, including the latest wireless security technology, from suppliers that are known for their quality. But there's more to security that just installing a burglar alarm. You'll find information on professional security companies, as well as personal protection products such as mace and pepper spray. And we'll also give you lots of valuable tips, information, and guidelines to help you prevent a home invasion that would jeopardize your property and family. 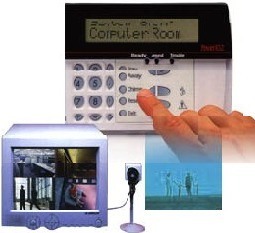 Providing you with suggestions for inexpensive and reliable home security systems and services is what we are about. Home security systems are more important now than ever before. For homeowners and small businesses alike, protecting assets and ensuring privacy has become of paramount importance. Luckily, today's technology allows for a great deal of flexibility when it comes to security solutions, allowing everyone access to this basic form of protection.